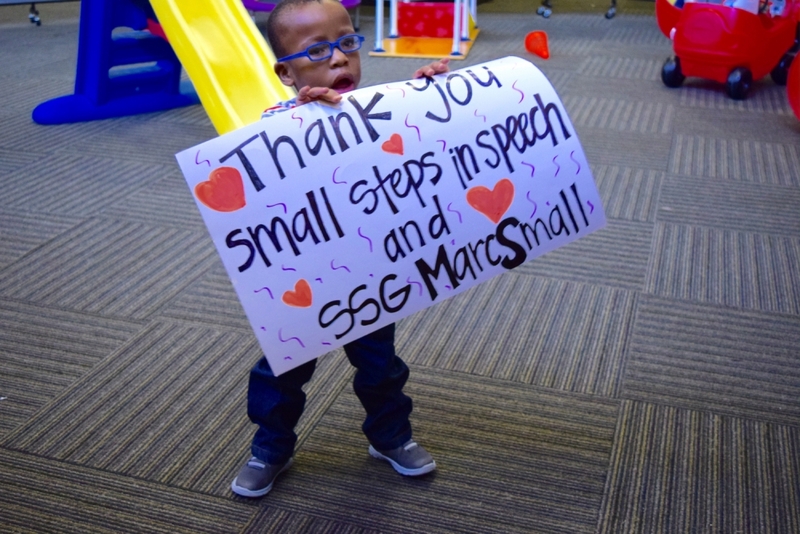 Small Steps In Speech – BETTER SPEECH AND HEARING MONTH! May is our favorite month of the year at Small Steps in Speech because it is Better Speech and Hearing Month!!! This is the month to raise awareness for those with communication disorders while helping these children with treatment/therapy. May also brings Memorial Day at which time we honor SSG Marc Small, who made the ultimate sacrifice for our country. 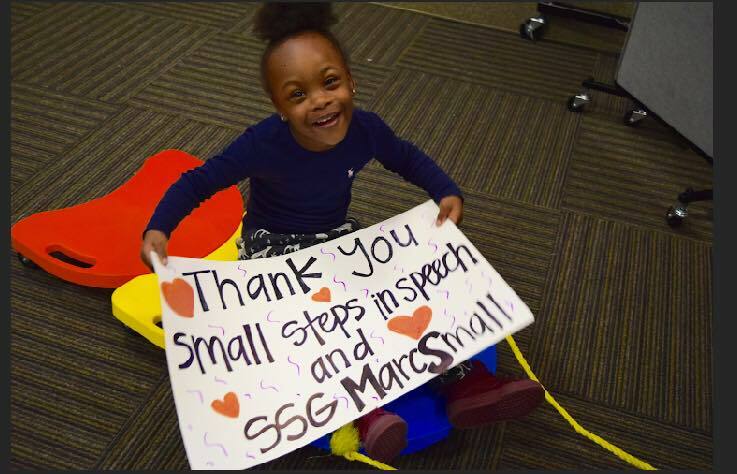 Marc’s memory is kept alive by the many people who support our organization and also by the hundreds of children whose lives have been impacted by Small Steps in Speech. By Small Steps in Speech|May 2nd, 2018|Uncategorized|Comments Off on BETTER SPEECH AND HEARING MONTH!